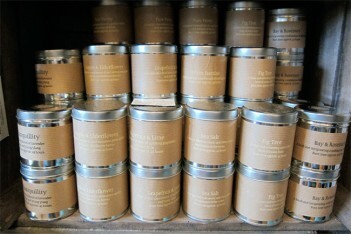 These candles are made in St Eval in Cornwall. They are scented with essential oils, all the way through the candle, leaving a noticeable and lingering scent. We no longer have the Thyme and Mint as shown in one of the photos however we have lots of other gorgeous scents for you to select from.